A major new discovery about mammoths blows the lid off of why this huge animal became extinct, and the results weren't what scientists expected. 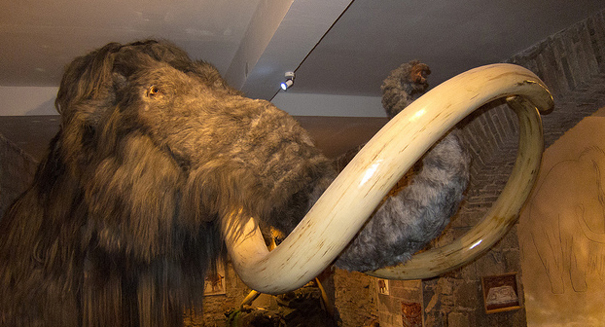 A remarkable new report published in the journal PLOS Genetics claims to have unveiled the true reason why woolly mammoths died out thousands of years ago, and the truth is pretty bizarre. Scientists researched their DNA looking for mutations, and found that the animal was virtually unrecognizable from its peak years when it went extinct. Genetic disease had so ravaged the animal that they lost their sense of smell, avoided socialization with other mammoths, and they had a weird shiny coat. The findings could help us understand what happened to the mammoth, and it could even have implications for saving species today that are nearing extinction, scientists say. There were probably only a few hundred woolly mammoths on Wrangle Island in the Arctic Ocean about 4,000 years ago, researchers think.